News | The McKeen Motor Car Website News | The Compendium of Knowledge on the McKeen Motor Car Company, and their experiments. We have recently received a limited number of high quality McKeen Car postcards for an amazing $1, and we are currently working on McKeen Bumper stickers and license plate frames, thanks for the idea Trainguy44. We would like more ideas for products, but on our list already are McKeen tin plate signs, McKeen builders plates (solid brass with red background, this is a very high quality reproduction from the plate on the V&T#22), McKeen Letterhead paper(no text body reproduction), and for free distribution, a C.A.D. 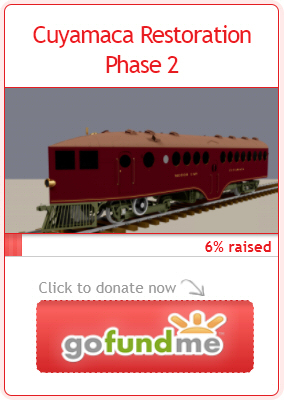 file for printing a Model McKeen Motor Car in any scale. How about a bumper sticker or liscence plate frame that says “My other car is a McKeen”?